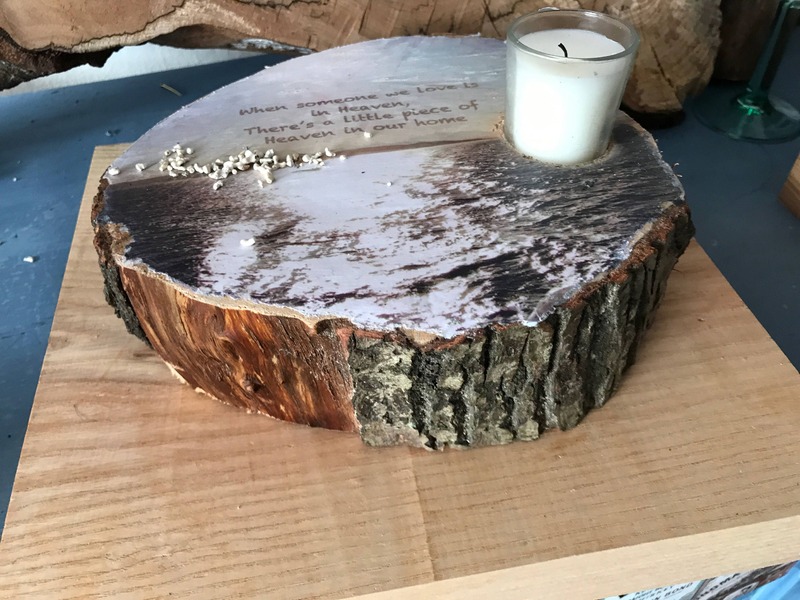 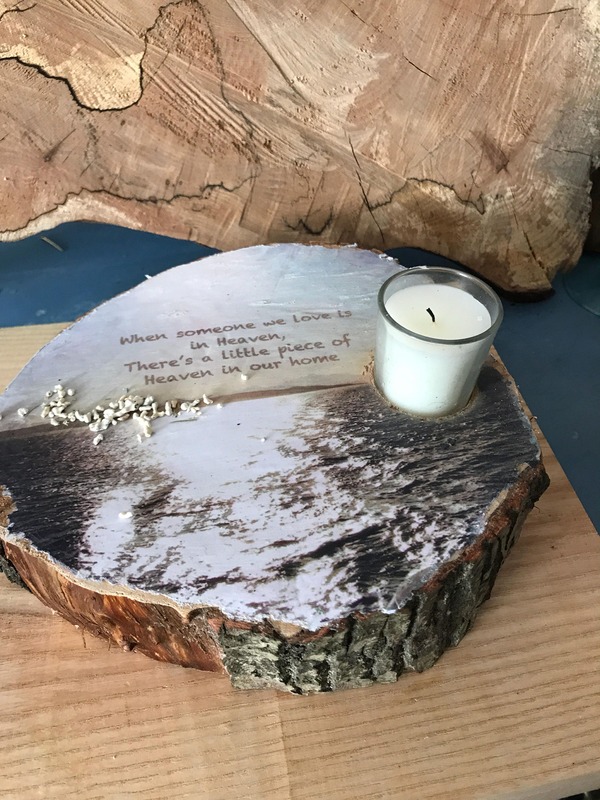 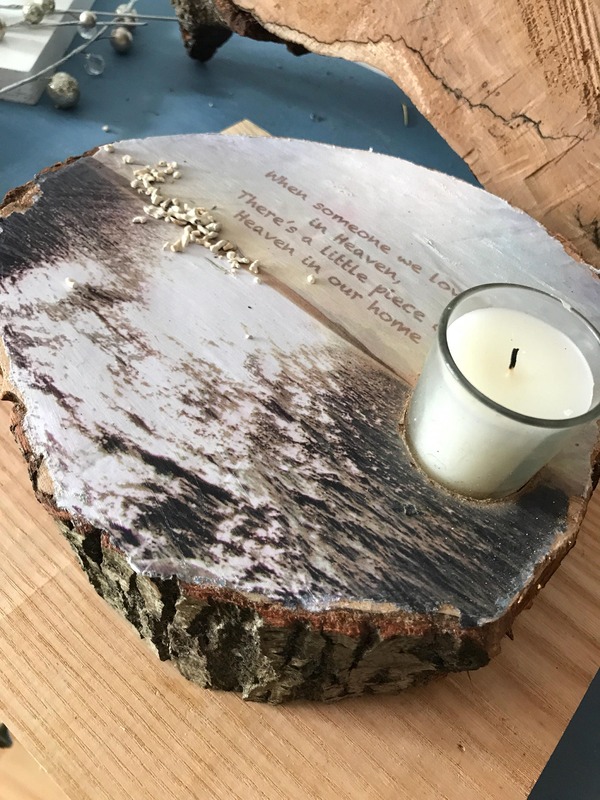 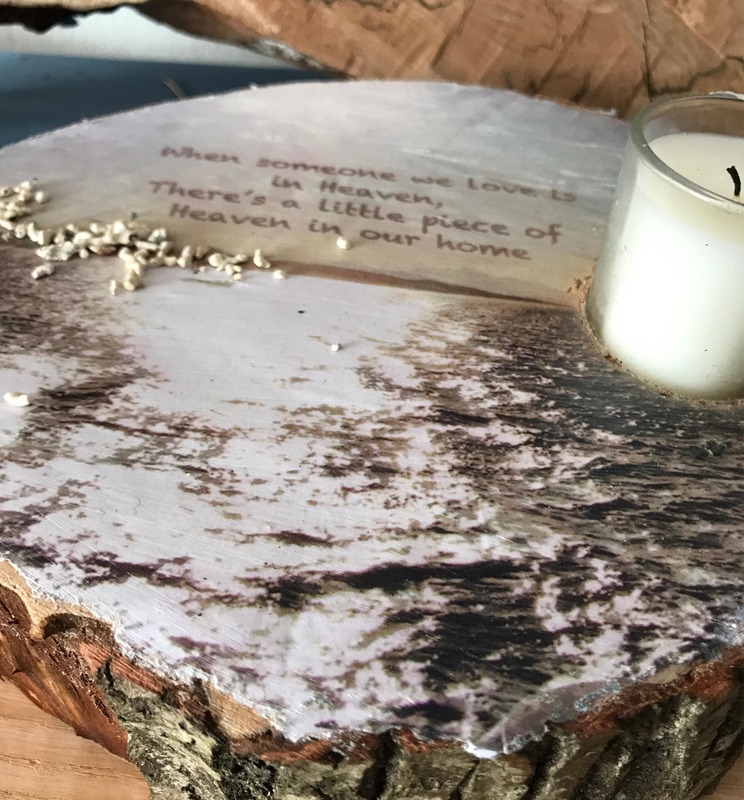 Sympathy, memorial or bereavement candle holder made from reclaimed wood. 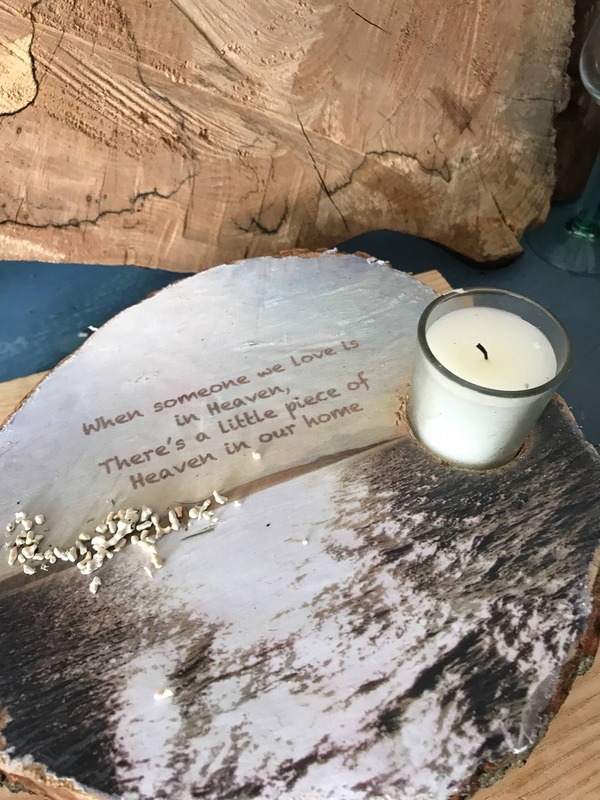 The quote is printed with a picture taken personally in Scotland and protected with a special finishing coat for protection against spillages. 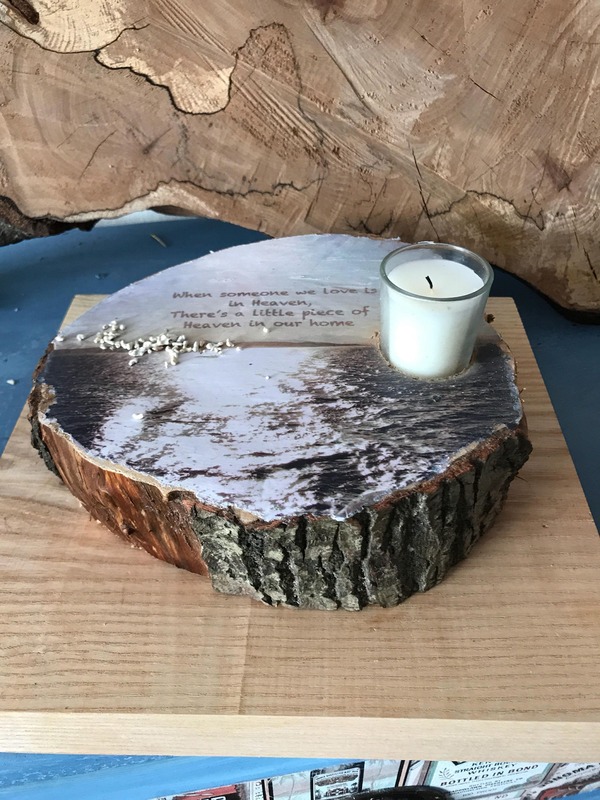 This would be a perfect unusual memorial following a bereavement, for a funeral or as a memorial at Christmas time or other family occasions to remember someone. 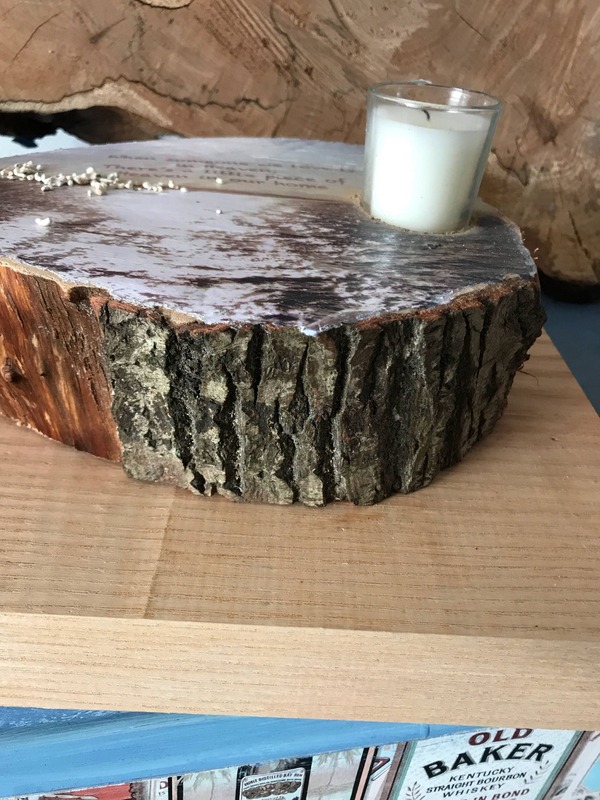 As each piece of wood varies, the designs may vary from the one pictured, however it will be similar in nature. 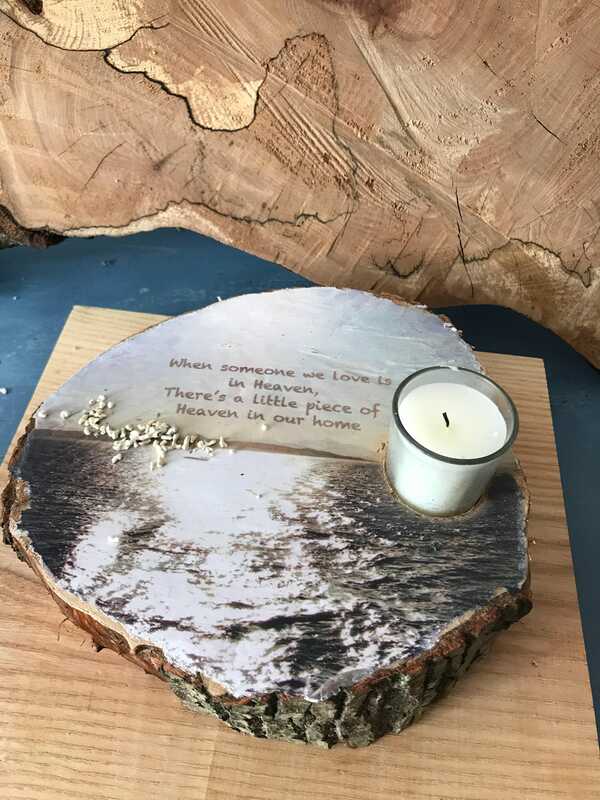 This is a perfect sympathy or memorial gift as it is one of a kind - (there will never be two identical!) 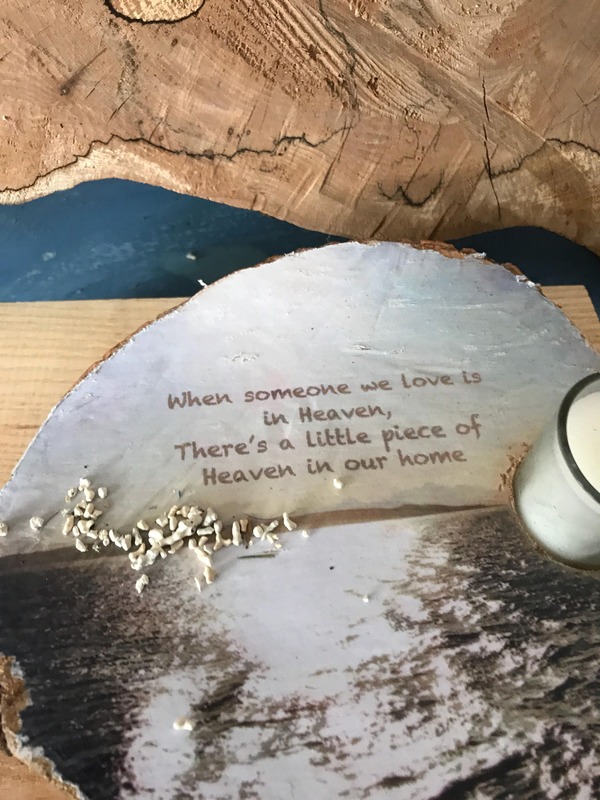 so it is perfect to remember your loved one. 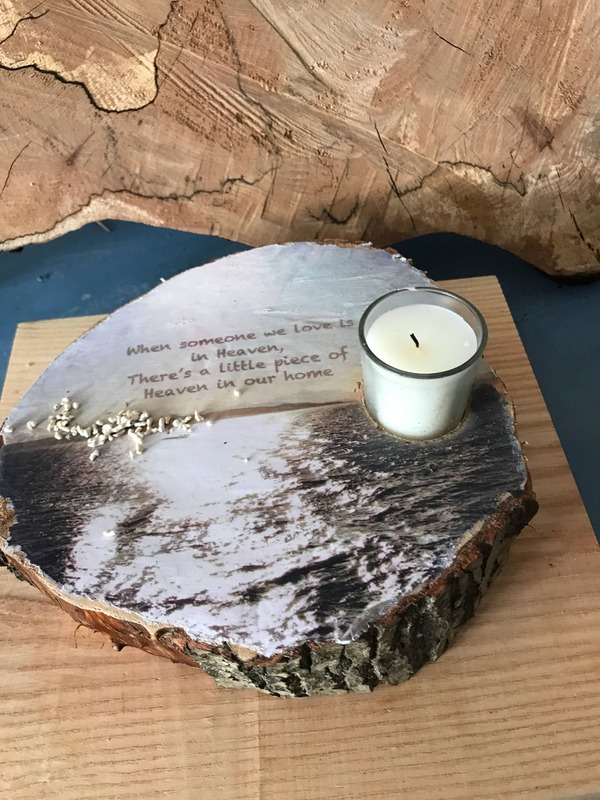 The candleholder quote and photograph could be changed to meet your preferences, please use the custom order button to request this, or message me and I will do my best to help.